Nothing says summer fun quite like the Fourth of July, especially for all those youngsters who’ve probably been counting the days until the fireworks show. How is your family celebrating this year? A barbecue with friends? Homemade ice cream? How about a chemistry assignment? That’s right. Along with the parades, Popsicles, and firework displays, you can incorporate some fun and engaging lessons for inquisitive minds. A Liquid Fireworks Lesson from Education.com: For many kids, fireworks are the best part of Independence Day, and that makes this fun, easy science project so great. Using food coloring, kids get to make their own! Learning Fourth of July History: History.com’s video and multimedia resource pages have plenty of fascinating links for the kids. You might want to check out the infographic Fourth of July by the Numbers for some interesting Fourth facts. (Who knew one-third of all hot dogs are produced in Iowa?) Also, the article "9 Things You May Not Know About the Declaration of Independence" is another source for fascinating Fourth trivia. Make Your Own Black Snake Fireworks: This project from the Kitchen Pantry Scientist definitely requires parental supervision, but if you’ve ever wondered what those snakes unravel, you might want to check out this fun project with your children. Fireworks and Chemistry from Teachers Domain: Summer school science teachers, this is the perfect lesson plan for you. Let your middle school and high school students explore the chemistry behind those explosions in the sky. Another go-to resource: The American Chemistry Society’s fireworks learning ideas. Preschool Ideas for the Fourth of July: The TeachPreschool blog rounded up some engaging arts and crafts projects for Pre-K students -- from construction paper flags to pipe cleaner “sparklers.” Busy Bee Kids Crafts also features a list of some great red, white, and blue holiday crafts. Top Five Apps for an Appy Fourth of July: Fun Education Apps reviewed five of the best iPad and Android apps for learning about Independence Day. Plus, check out these additional apps that will help kids learn about the geography and history of the U.S.: Geography Drive USA (iPad and Android), American Presidents for iPad, and Mission US: Think Fast! About the Past (for iPad and Android). Fourth of July History from EDSITEment: This lesson covers Frederick Douglass’s powerful Fourth of July speech, and the plans provide historical context and reading comprehension questions for older students. 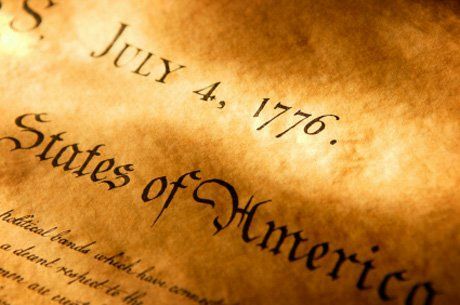 For summer school classrooms, any of these National Endowment of the Humanities American Revolution resources are perfect leading up to the Fourth of July. Do you know of other great learning resources for the Fourth of July? Please feel free to share them in the comments!